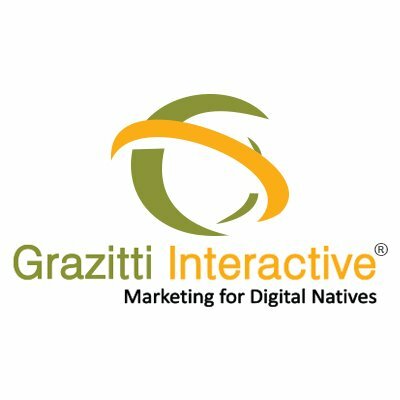 Grazitti Interactive is a technology driven marketing agency, offering a unique blend of creativity, innovation & digital marketing expertise. Leverage Grazitti's CRM advisory & implementation services to tailor CRM solutions including Salesforce Service Cloud, Sales Cloud, Marketing Cloud and more, to your unique needs. Grazitti's Salesforce CRM developers configure, develop, and integrate existing and new sales automation platforms to accelerate sales pipeline and improve business results. Grazitti will build, migrate, manage and optimize communities on various platforms and seamlessly integrate them with your CRM. Grazitti helps you listen to the story your data is telling with their business intelligence services and solutions. Grazitti's designers have worked with leading digital marketing technology companies and enabled them to engage prospects and increase engagement & subsequent conversions. They design creative, detailed, well-thought, and striking responsive web & mobile assets, infographics, images, videos, marketing collaterals, animations and more. Grazitti empowers marketers by providing visibility into the effectiveness of online marketing campaigns on net new revenue growth through marketing automation. Their expert marketing automation consultants help you scale your marketing programs. With Grazitti's Online Communities services, your company can deliver rich experiences, drive user engagement, and achieve business objectives. Grazitti's certified web developers deliver responsive websites, custom web applications and other digital assets that are easily customizable, social media ready, beautiful & secure – along with great user experiences, and user friendly interfaces.